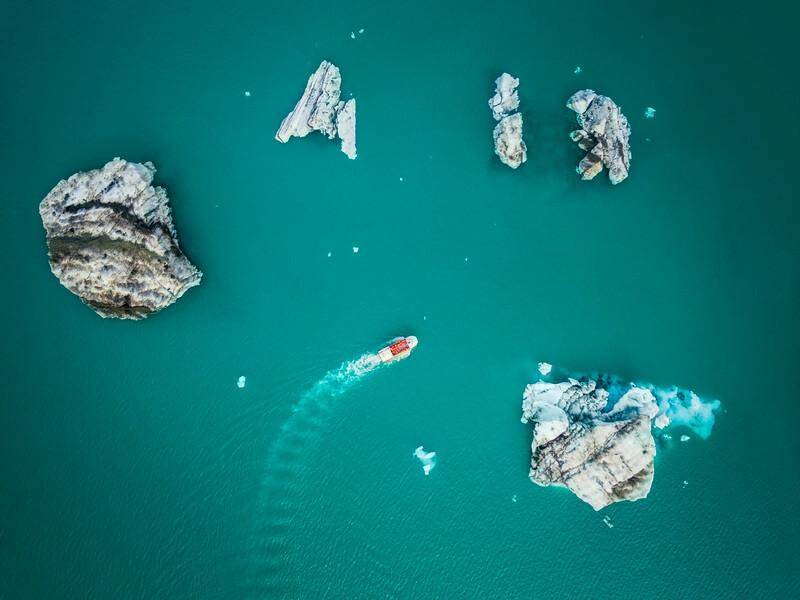 Aerial view of Glacier Lagoon boat tour. I sent an extra set of eyes up in the air to capture the tourist boat in the glacier lagoon. This lagoon is formed as a result of global warming. The surface is at sea level and sea water flows into the lagoon at high tide. Huge blocks of ice constantly break off the glacier, Breiðamerkurjökull, and large icebergs float on the lagoon. The lagoon is not very wide but it is up to 250 meters deep which makes it the deepest lake in Iceland.